Is The Esprit BIKE-X Exercise Bike More Than Your Average Folding Bike? Folding bikes like the Esprit BIKE-X Exercise Bike have become a highly attractive prospect for many that want to use exercise bikes in a small apartment. The folding frame is a great starting point on a space saving machine, but there are also plenty of other apparent benefits in the specification, not to mention the style and choice of colours. The makers of this fitness bike promise that users can get a great workout here, calling this a weight loss machine, and it looks as though it should be pretty easy to use. Its this the case, or are there clear issues in the design of this bike? 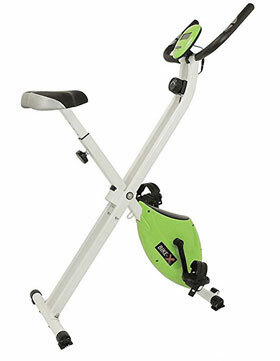 Is The Esprit MOTIV-8 Exercise Spin Bike A Good Starting Point For Home Use? 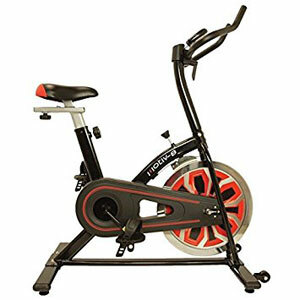 The Esprit MOTIV-8 Exercise Spin Bike is an exercise spin bike for intense training in the home. It is designed to help users “lose weight, build up your stamina, increase your speed.”. It appears to do so with a compact frame, stabilised base, small flywheel, adjustable handlebars, saddle and a console for data. This is about all that users really require, in theory.